The girls came round for dinner a couple of nights ago, so I absolutely HAD to cook to impress – while at the same time remembering that i only had a short time to prepare!! I got home at around 7pm with everyone due to arrive at 7.30. I can’t tell you how much i was hoping the Tudor Girls were going to be traditional and thus; turn up late! 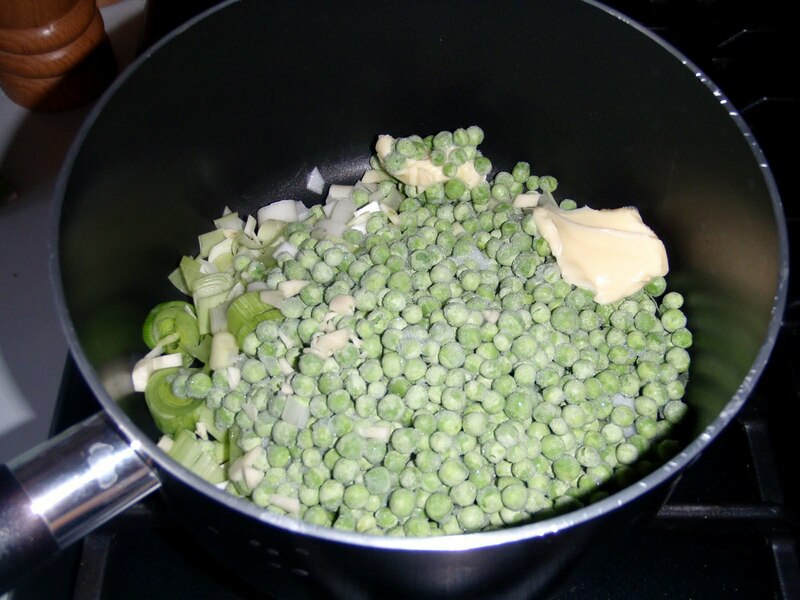 No peas. 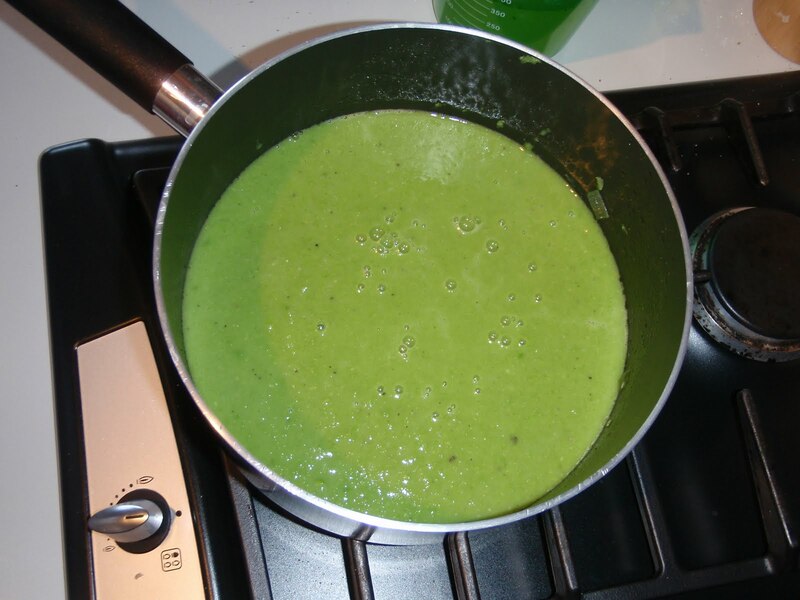 I chose minted pea soup because i knew i DEFINITELY had loads of peas in the freezer!! Aaaah! The corner shop had a minute bag of petit pois – phew! Put all the dry ingredients into the saucepan. Bring to the boil and simmer for about 5 minutes. A fantastic starter for four or a midweek meal for 2.